Health officials are warning of "a serious global health threat" from a drug-resistant superbug fungus. The Centers for Disease Control and Prevention says the fungus, Candida auris, has already sickened hundreds of people in the United States. Candida auris, which preys on people with weakened immune systems, was first identified in 2009 and first seen in this country in 2013. Since then, it has caused at least 587 illnesses in the U.S. More than 300 of those cases were reported in New York state. Officials say the fungus is growing more resistant to antifungal medications and can turn deadly. Candida auris can cause different types of infections, including bloodstream infection, wound infection, and ear infection. The fungus has also been detected in respiratory and urine samples, but the CDC says it's unclear if it causes lung or bladder infections. 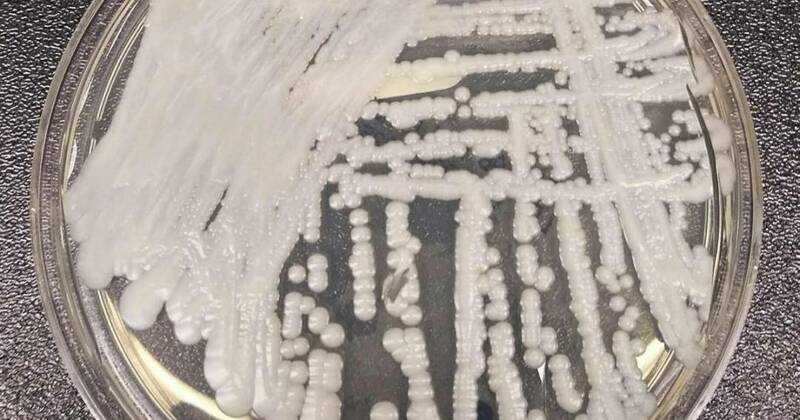 Candida auris infections have been reported in health care settings throughout the world, including hospitals and long-term care facilities like nursing homes. People who recently had surgery, live in nursing homes, or who have breathing tubes, feeding tubes or central venous catheters appear to be at highest risk. The germ has been found in patients of all ages, from preterm infants to older adults. Candida auris is transmitted in health care settings, spreading person to person or through contact with contaminated surfaces or equipment. Healthy people with strong immune systems may carry the germ without actually getting sick from it. According to the CDC, symptoms of Candida auris may be difficult to detect because patients are often already sick. Only a lab test can identify the superbug. Infections are usually diagnosed by culture of blood or other body fluids. While most Candida auris infections are treatable with antifungal medications, health officials say they're concerned that some have proven to be resistant to all three main classes of antifungal medications. "In this situation, multiple antifungal medications at high doses may be needed to treat the infection," the CDC said. Candida auris: What to know about the deadly superbug fungus posing a "serious global health threat"